Whether you're zapping away at alien spaceships from another galaxy or taking on the ultimate blastfest against asteroids, these new takes on old time classics will have you hooked in minutes! Click on each title to find out more. The biggest arcade hit in history hits again in earth-shattering 3-D! Featuring the classic board and dice games, including Dominoes, Checkers, Tic-Tac-Toe, Chess, Backgammon, plus many more! Get behind the wheel of the world's most famous monster trucks and go head-to-head in savage vehicular combat. Find out the fun of the destruction on your PC and crush your friend in wild matches. Design and build the most fantastical stunt tracks imaginable, then challenge friends, or cool Stunt Rally characters, to crash test fun in this crazy construction / race game. The Worms are back, always ready for a fight on the sea. With a vast array of addictive game modes and options, use your strategic and reflex skills in this action puzzle game. Blast away the bricks and collect the numerous bonuses, try to avoid traps before facing the fearsome guards at the end of each level. 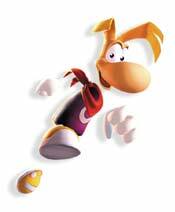 All rested up from his past adventures, Rayman® is ready for action in an all-new dimension. Ruthless pirates have invaded the Glades of Dreams to capture and enslave Rayman's friends.